Jan 31, 2017 / WORDS Jonty Simmons / PHOTOS Daniel Anderson / Read our 5-star review. It’s the funky bass pops in Intimate Alien. The sultry “ahyeahahyeah” in Thunderdome. The unique tinge of each track begs listeners to smash the ‘single repeat’ button into oblivion. 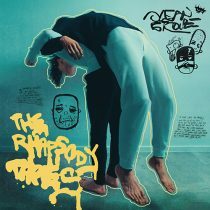 The Rhapsody Tapes is Ocean Grove’s mission statement and they’re not joking when they claim they’ve invented a genre unto themselves. Floating and dropping through the dreamscape of When You’re This High… is breathtaking. Drummer/producer extraordinaire Sam Bassal is the hidden gem here. Content to keep his skills behind the kit on a leash, it’s somehow creating this entire experience in his bedroom that hasn’t gone unnoticed as one of the most amazing feats in Australian music. The Rhapsody Tapes solidifies their position atop the pile of DIY wunderkinds. Swapping between the furious riffs during These Boys Light Fires to the hip-hop blend of Slow Soap Soak, Bassal knows how to make each cymbal, chug and deep bass kick (4AM club sample From Dalight is guilty here) crisp. Studio member Running Touch has fingerprints all over the opening What I Love About A Natural Woman and Mr. Centipede, just to keep this dream team of local talent bursting at the seams. The real breakout who’s finally been given his due? Bassist/vocalist Dale Tanner. Daniel Johns would be proud of The Wrong Way’s soaring chorus, and his sultry turn on Mr. Centipede is enough Cobain to keep us more than satisfied. Paired with Luke Holmes’ screams, this is the sound of Australian heavy music’s future. 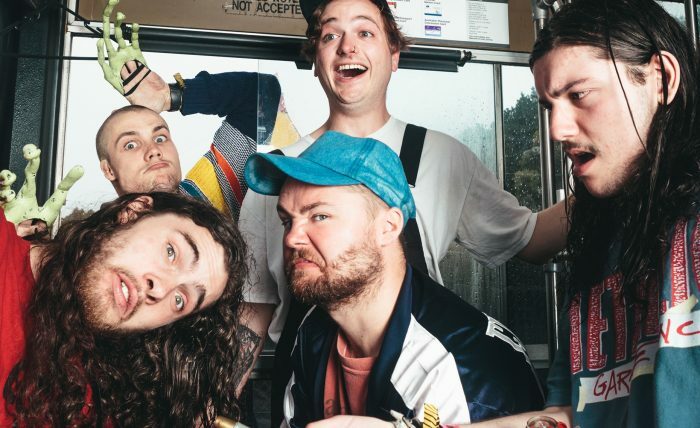 “We’re not going to buy your respect; we’re going to earn it.” Ocean Grove had that with Black Label, and The Rhapsody Tapes solidifies their position atop the pile of DIY wunderkinds. When the rest of us have already teleported to their dimension of hyperreality, those who refuse to give it a chance will regret not jumping on the ship earlier. Once people enter the Odd World of Ocean Grove, they’ll question why the f*ck anyone would want to be normal.